What to look for in a therapeutic laser. 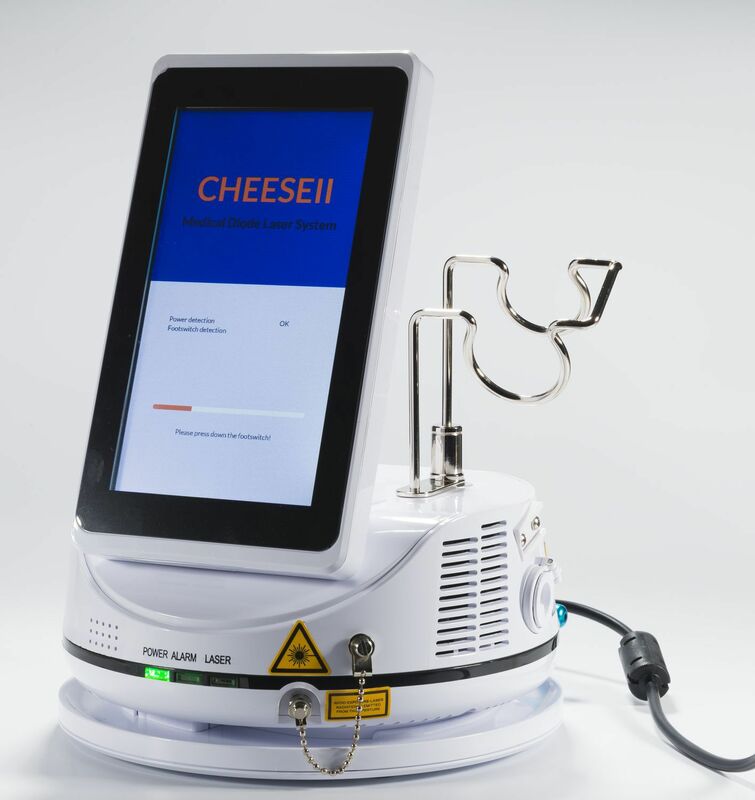 The new CHEESE II Class 4 Diode Surgical Laser has a bigger color touch screen, wireless foot control and customizable pre-set protocols. NOW can be fitted with a therapy hand piece to enable true Class 4 Diode laser therapy. Choose between the DEN 7A/B (7watt continuous @ 810nm or 980nm) or the DEN 10B (10watt continuous @ 980nm), both with veterinary specific software. This is an ideal, affordable entry into diode laser surgery and now therapy. A tidy compact benchtop laser weighing 1.8kgs. The cheapest entry into Class IV diode laser surgery. 2 year warranty supported in Australia, with 3 year warranty option.